Being one of the major Hindu festivals, Navratri is celebrated the world over by millions of devotees. The nine-day festival takes place twice a year in the Hindu months of Chaitra and Sharad. In 2018, Sharad Navratri will be held from October 10th to 18th. If you are also a devotee of the goddess Durga, then you must be looking forward to the festival as well. In this post, we will let you know more about the significance of Navratri 2018 and the rituals associated with it. What is Navratri? 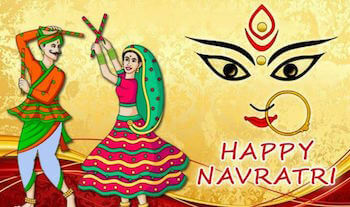 The word “Navratri” signifies a stretch of “nine nights” dedicated to goddess Durga. Ideally, there are four Navratris in a year, but only two of them are majorly celebrated. 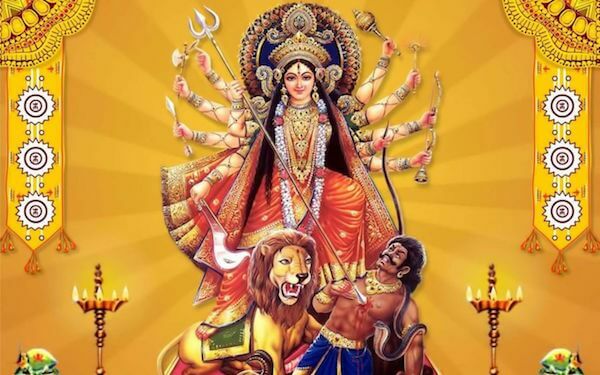 The period is devoted to Shakti (Durga), the Hindu goddess of power, enlightenment, and destruction. 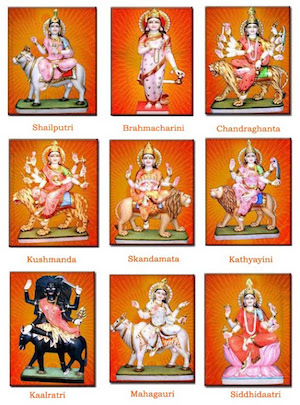 There are numerous legends associated with Navratri. It is believed that Shakti took the form of Maa Durga to fight against Mahishasura (a demon). The battle took place for nine days. Though, on the tenth day, Maa Durga killed Mahishasura and saved the universe. It is also believed that before fighting against Ravana, Lord Rama decided to seek the blessings of goddess Shakti. For the duration of nine continuous days, he preached the nine different forms of the goddess. In the end, he got the blessings from the eternal goddess that made him defeat Ravana. 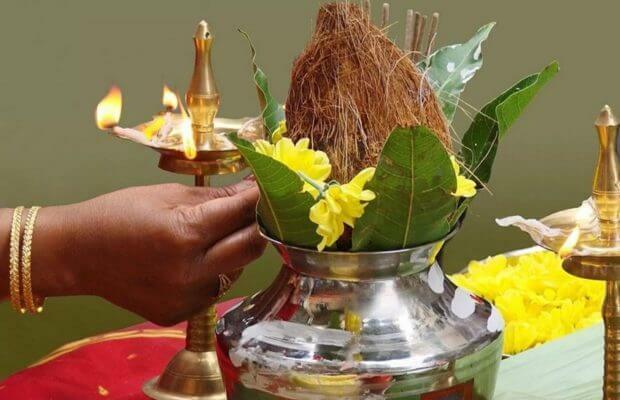 Till date, we follow the same ritual of preaching nine forms of the goddess during Navratri. This year, Sharad Navratri will take place from 10th to 18th October. As you know, each day is dedicated to a different form of Shakti. 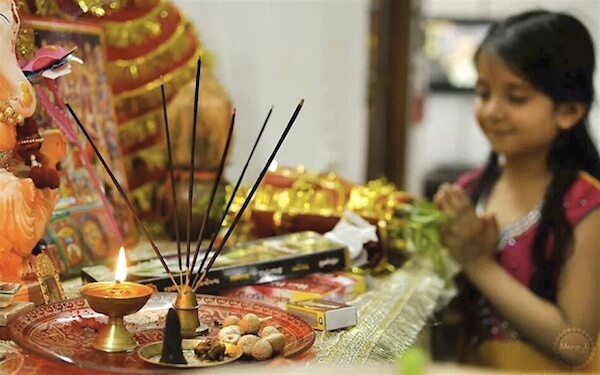 Just like other Hindu traditions, there is no strict way of performing the ritual. Ideally, the devotees take a bath early in the morning and pray to the goddess. It is followed by havan and bhog. If you want, you can also collect some raw materials like hay, coconut, etc. to create a smaller version of havan. While praying in the morning, you can make a small fire and present offerings to it. Since fire is associated with Shakti, it would be a symbolism to the goddess. Mostly, small pieces of sweets and everyday vegetables are devoted. The same drill is followed for all the nine days. Besides performing the ritual, devotees do a fasting as well. One can fast for a single day, the first and the last day, or the entire duration of nine days. The fasting represents the cleansing of our body. Sharad is the season of change as it embarks the onset of winter. During this period, our immune system is quite weak. Therefore, devotees fast to avoid oils, spices, or anything that can further make them ill. Only “saatvik” food is consumed during the nine days, which makes our body feel lighter and strengthens our immunity. On the tenth day, the fast is broken by eating freshly made dishes and serving them to others as well. 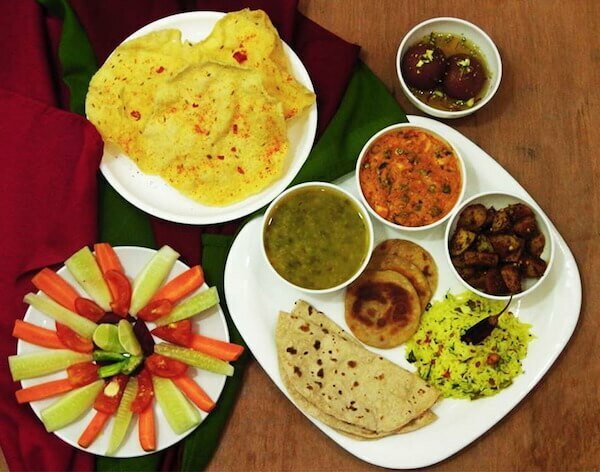 It is recommended to offer food to others (especially girls) on the tenth day to conclude the festival. As you know, the nine days of Navratri are dedicated to different forms of Shakti. Here is a complete breakdown of all the days and the goddesses they are dedicated to. The first day of Navratri is dedicated to Shailputri. Also known as the daughter of the mountains, the name denotes goddess Sati too. The other half of Lord Shiva, she is the goddess of consciousness and awakening. Bharmacharini is preached on the second day of Navratri. She personifies love and austerity. Associated with grace and eternal peace, she is preached to attain Moksha (the eternal truth). Chandraghanta is a form of goddess Durga, who is preached on the third day of Navratri. She has a half moon behind her forehead, which depicts her name. She is associated bravery and victory. Kushmanda is preached on Navratri’s fourth day. She sits on a tiger while holding a rosary in one hand and a weapon in the other. She depicts the beginning of the time and is the goddess of light and warmth. On the fifth day of Navratri, goddess Skanda Mata is preached. She sits on a tiger while holding lotus in both hands. She is known as the epitome of knowledge and her devotees ask for her wisdom on this auspicious day. Katyayani is the avatar of Shakti, who is preached on the sixth day of Navratri. On this day, devotees ask for blessings from the goddess to live a happy life. She is known to bring overall contentment in a family. Maa Kaalratri, the goddess of destruction is preached on the seventh day. Also known as Kali, she depicts the fearless side of Shakti. Devotees seek for her protection on this day from evil spirits. On the eighth day of Navratri, you should pray to MahaGauri. Dressed in white, she is the goddess of tranquillity and peace. She is known to impart intelligence and calmness to her devotees. The ninth form of Shakti is Siddhidatri. She is known as the ultimate power and holds eight different siddhis. To find 2018 Sharad Navratri bhajans, you don’t have to spend hours on your phone. Download the Snaptube app on your device and listen to unlimited Navratri songs. Simply look for the Navratri bhajan of your choice and stream it on your device. The app has a wide range of bhajans and devotional music related to Navratri that you would love to play during this festive season. It can also be used to listen to various other kinds of devotional songs related to several deities. 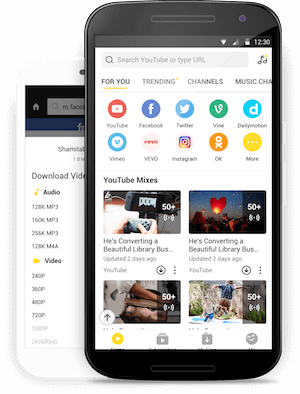 Additionally, you can listen to songs in Hindi, Marathi, English, Bhojpuri, Tamil, and plenty of other languages as well. Download the app on your device and listen to the songs of your choice for free. Any religious festival is incomplete without music. Here are some devotional songs and bhajans that you should play on this auspicious occasion.